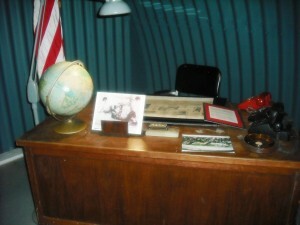 You only have one weekend left to visit the Kennedy Bunker on Peanut Island as it will close October 22. You can visit this weekend, Saturday or Sunday only. Because of deterioration and the museum’s lease expiring, the port commission decided not to renew the lease. For several years now, there were code violations, mold and safety issues, it’s probably the best decision. Although some cleanup and mold remediation had been done to the facility, it would still take millions of dollars to repair. 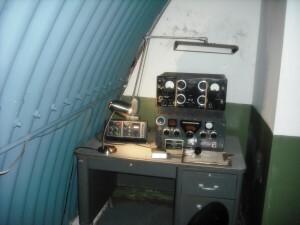 Built in 1961 as a top-secret nuclear bomb shelter for President Kennedy in case of a nuclear attack while he was visiting Palm Beach, the Kennedy Bunker was finally open to the public in 1999. Very spooky down the dark tunnel, the whole structure was covered with concrete and earth. As people visited, trying to imagine what it would have been like to live in this space for an extended period of time would have been difficult. 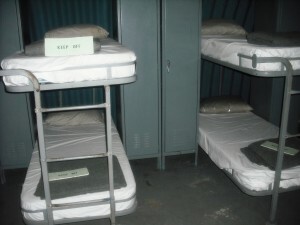 After Oct. 22, the bunker will be emptied of all its contents including the metal bunk beds, the communications center, lockers, air pumps, radiation detectors and Army K-rations and gas masks. There may be future plans to put some of these historic items on display at Palm Beach Maritime Museum at Currie Park early next year. Other Places to Visit, Parks in WPB. permalink.